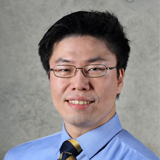 Dr. GO Myong-Hyun is a research fellow at the Asan Institute for Policy Studies. Previously, Dr. Go was a postdoctoral researcher at the University of California, Los Angeles, Neuropsychiatry Institute. His research applies quantitative perspectives to traditional and non-traditional security issues. Dr. Go’s latest publications include “In China’s Shadow: Exposing North Korean Overseas Network” (2016) and "The Prevalence of Deaths and Disease in Chongori Prison" (in Korean. 2017). Dr. Go is widely cited by the international media on North Korea, with special focus on the economy, sanctions, and the regime’s long term strategy. Dr. Go is a Munich Young Leader of Munich Security Conference 2015, and received his Ph.D. in policy analysis from the Pardee RAND Graduate School.